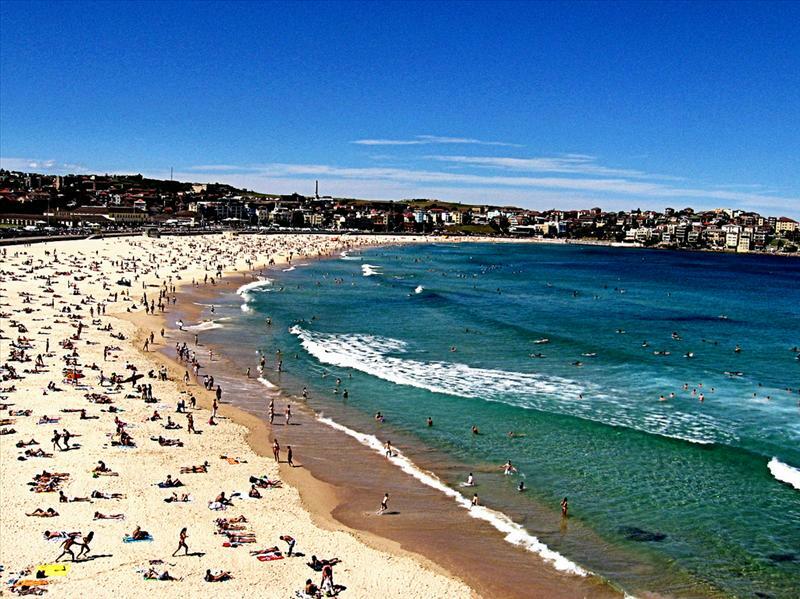 Home » travel destination » Australia » 5 reasons to visit Australia. 5 reasons to visit Australia. 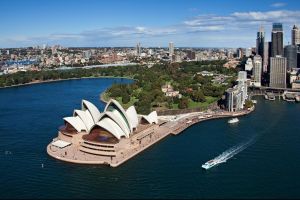 The country-continent of Australia is one of the remotest places in the world, but that does not stop it from being the most visited tourist place- courtesy of the paradise it holds. Australia is home to some of the greatest, mind-boggling natural wonders- the Rafflesia, The Great Barrier reef, the Uluru mountains, the ten most poisonous snakes in the world, The kangaroos and the Tantalising sea waves. The people are cheerful extroverts who would love to share a drink with you any day. What’s more? All this, for extremely cheap rates. Australia is a haven for Backpackers and budget travelers. Do you want one more reason? We give you 5 solid reasons to visit Australia. The first thing you will notice in Australia is its shimmering cities, enigmatic aura and Barbecue joints! The Sydney harbor at sunset never Follow the Margaret River near Perth, the Barossa Valley near Adelaide, and the Hunter Valley and Reisling Trail near Sydney-explore the valley’s verdant vineyards, sample a crisp Australian white wine, shiraz and pinot noir; and you would agree that Australians are the masters of the winery. You could easily get a $4 Dominos pizza in most parts of Australia; and Australia’s major cities have some of the best Rooftop and Outdoor Beer Gardens in the world, with Cairn and Australia without barbecue is like Australia without kangaroo’s – it does not, can not exist! Most parks and public areas have at least three barbecue pits, and barbecues are somethings Australians do best. Australian coast is surrounded on all sides by the waves, and to cover each beach in Australia, they say you would need at least 27 years. Australia boasts of everything from deserts to evergreen forests. The Australian Outback is a long stretch of bright red earth littered with white sand dunes The Canyons are large mountain cliffs: take, for example, the King Canyon, in the deserts of Watarrka National Park in the rugged Northern terrain – a deep, surreal canyon, full of trickling waterfalls and aboriginal cave drawings. In stark contrast to the Outbacks are the evergreen tropical forests of Queensland, which is home to dozens of ancient forest and green islands; sprinkled with stunning parks like Daintree National Park. The National park is a vast stretch of ferny jungles, with steamy hot springs, and tropical waterfalls. As you head to Mt. Buller, which is three hours north of Melbourne, Victoria; get ready for a pleasant surprise.Mt.Buller is Australia’s very own snowcapped mountain, loaded with activities like skiing or mountain biking. Mond boggled? 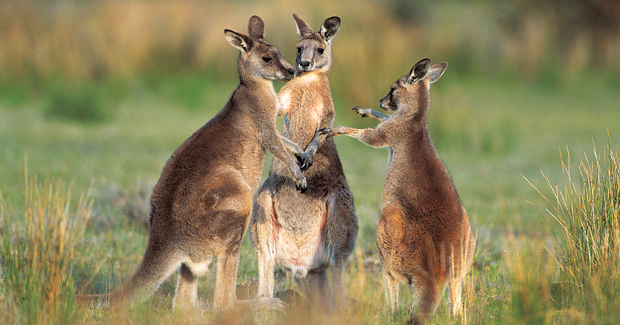 Australia has its very own kangaroo island, the only type in the world. Easily accessible via ferry from Adelaide, Australia, Kangaroo Island is a veritable Garden of Eden that absolutely lacks natural predators. It is a beautiful sanctuary for Australian wildlife and you can find everyone- from kangaroos and koalas to whales and dolphins, frolicking in their natural habitat. Another attraction in Adelaide is the World Heritage site known as Kakadu National Park. What is so unique about this park, is the Jumping Crocodile Cruise on the Adelaide River. Guides use fresh meat as bait to attract the ferocious crocodiles, and you can see these wild monsters snapping their strong jaws inches away from you. The quota for crazy is not over yet! Another crazy attraction with the wildlife comes on the south coast of Australia – these waters are one of the best places on earth to get as close as you can get to Great White Sharks- the beasts of the sea. Behind the cages inside the ocean, you can see these beasts thrashing about their natural habitat. Not for the faint-hearted! 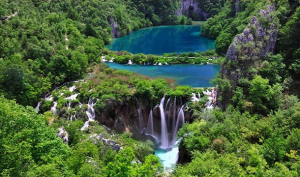 5) The prehistoric and natural wonders. Last, but not the least, are the Great Barrier Reefs, the emerald necklace of Australia.the largest coral reef colonies in the world, the Great Barrier Reef is world renowned for its storehouse of marine life. Thousands of diving sessions go by per day, and it is a great opportunity to observe schools of fishes swimming by you, octopuses lounging after a meal, or maybe some fishes taking a dumb ( yes, you can see that too, apparently). Scuba diving does not get better than this. You can leave from the coast of Cairns or Port Douglas, both being the centers of the system. Then is the Uluru, a giant round rock covering eight kilometers of land. What makes it so breathtaking is the iron-rich content, that makes it produce exotic hues of red and orange during sunset. The wind cuts through the rock, and sometimes you can hear the ‘song’ it produces. Though the Uluru is sacred to the Aboriginal tribes, scaling the rock is allowed, but in certain conditions. Australia is probably the only place in the world that boasts of a pink lake, or it did 10 years back. The lake, also known as Spencer’s lake, is a salt lake in the Goldfields-Esperance region of Western Australia sustaining red, and green algae that become pink once the optimum salinity levels are reached. Lastly, Naracoorte Caves National Park in South Australia has thousands of deposits of fossils millions of years ago. It boasts of the remains of marsupial lions and Tasmanian tigers, and other ancient beasts.